As you’d expect there’s been a bit of a media blitz surrounding the appearance of a Skate Bowl in the middle of Selfridges flagship store on Oxford Street. Never one to shy away from innovation it is nonetheless a refreshing story, a positive spin on the department store sector. Whilst the Skate Bowl is sensational in concept and delivery, it is part of a wider departmental concept, which is the new centrepiece of a forward-thinking strategy on how to use retail square metres. Despite Selfridges astounding and unsurpassed collection of brands, the commercial future is more than just stuff. The skate bowl is part of the new Designer Street Room. At nearly 2,000 sq. metres it is a statement of intent to attract the younger male customer influenced heavily by the wide variety of fashion influences around them. Consider the traditional department where segmentation of brands is built around the fashion position and end-use of catwalk brands. A place where classic formal sits half a block away from contemporary casual. 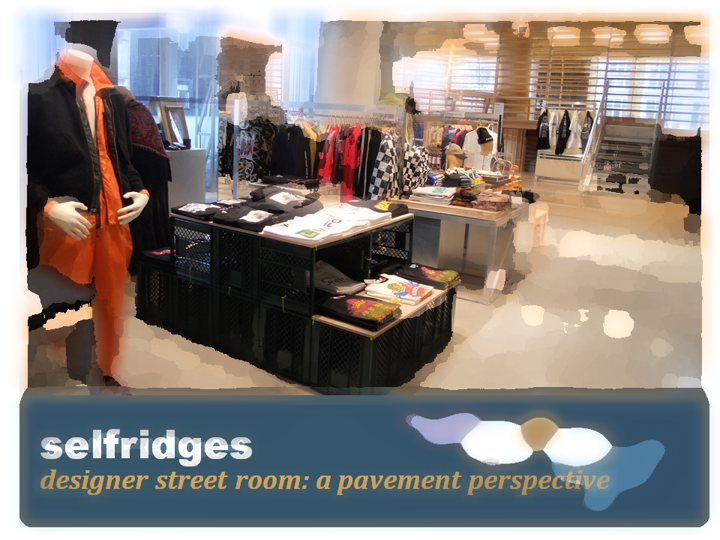 The Designer Street Room is a fluid interpretation of what’s cool and commercial from the trendier pavement perspective. It makes no judgement on age, culture or even gender. If you like it, you’re in. The design of the space is built for dynamics, capturing the latest product trends and brand popularity. Its fittings resemble the pop-up aesthetic of a Dover Street Market. Brands at the opening vary from the established to the new arrival. Balenciaga and Versace to Japan’s finest Undercover and streetwear new kids on the block Heron Preston and Ader Error. Watch this space. There will be rapid change. Together the space is a social hub for like-minded customers. It is the incarnation of the new reality that to sell fashion you need more than clothes, more than mannequins. The Skate Bowl is the icing on this commercial cake. To make money you need to invest in the experience. Not in some peripheral, token coffee shop way, but in an execution that hits at the heart of the customer, takes them back to the street where they belong.